The women in the UK Women’s Title Tournament are briefly profiled. Good match. Kai started quickly, but Samuels hit a few high-impact moves to slow Kai down. After a little while, Kai came back with a series of kicks and strikes which led to a nice finish. This was a simple match, but it it was well done. A good first round match for the tournament. Radzi is joined by Mark Andrews. Andrews says he is putting the Coffey brothers behind him. Now, he’s looking for gold. Flash Morgan Webster walks up and says he wants gold too. Webster suggests that the tag titles would look good around his and Andrews’ waists. Andrews likes that idea. Earlier today, Ashton Smith is interrupted by Eddie Dennis as he tries to conduct an interview. Dennis suggests that they have a match next week. Smith thinks that might be a good idea. After the match, Tyson T-Bone wonders if that was the best that NXT UK can offer. T-Bone starts to walk away when Dave Mastiff comes out and heads to the ring for the next match. The two men stare at each other as Mastiff passes by T-Bone. Squash. Mastiff absorbed some strikes, then he destroyed Maloney. Radzi is joined by Sid Scala. Scala says he just needs one more opportunity to prove himself. Good match. I wasn’t familiar with McKenzie, but she definitely had the support of the crowd. She looked good in the match too. McKenzie had some nice offense and looked strong, but I just really enjoy how mean Jinny is in the ring. Jinny started slow, but she made up for it with a very strong finish. Zack Gibson heads to the ring for a match. He gets on the mic before the match, and as he talks about how good he is, he gets booed mercilessly. He also gets interrupted by Trent Seven’s entrance music. Great match. This was fought very evenly, and it felt like either man could win. At times it also felt like neither man would lose. Shenanigans from Tyler Bate and James Drake at ringside ultimately had to be introduced for a winner to be named. 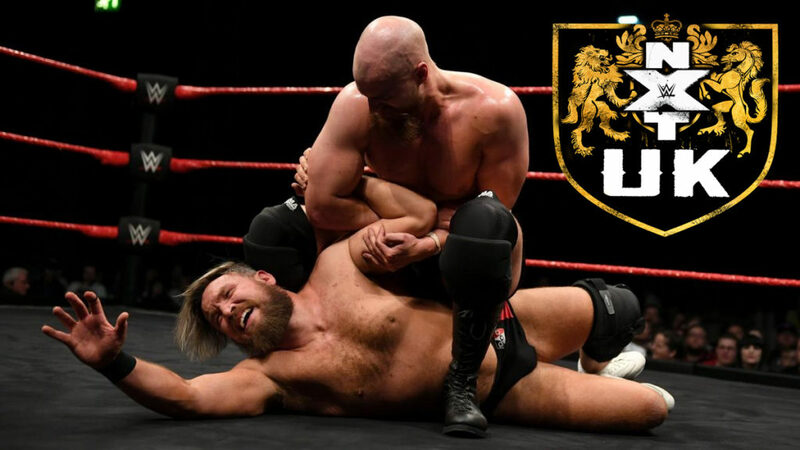 After the match, Wolfgang and the Coffey brothers attack Trent Seven and Tyler Bate. This was a very good show. It had a great main event, two could women’s matches, an alright buildup for Mastiff and T-Bone, and some interesting story bits for multiple groups. A good match and an interesting plot point for multiple possible feuds.